Elite Reception Desk w/ beautiful accent moldings. Features include locking cash drawer, cash till, two storage cabinets, 10" deep pull-out ADA customer ledge. 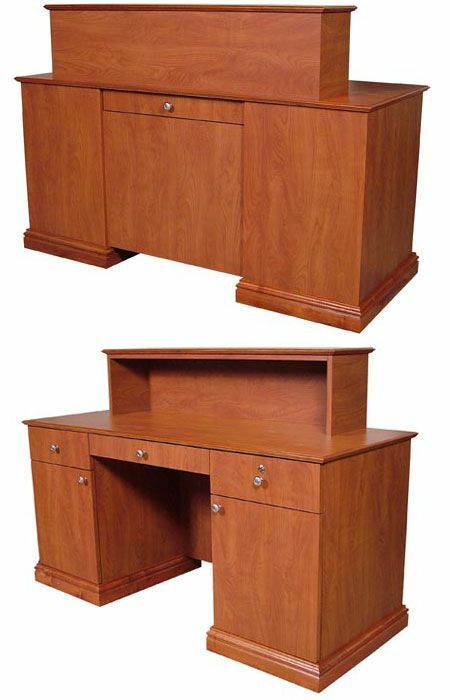 Choice of pencil drawer or pull-out keyboard tray ... specify at time of order. Choose a Standard Color: Black, Fusion Maple, Wild Cherry, or Cocoa Maple. Or special-order a Custom Color.